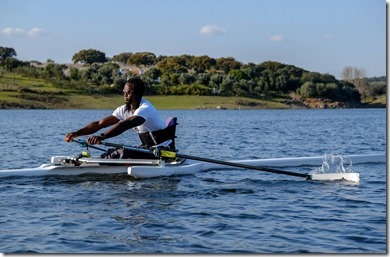 I was invited to take part in a Para Training Camp in Portugal with (Para-Rowing Foundation), a very beautiful backdrop in Avis. I had no expectations, I just had an open mind to learn and find ways of making the boat move faster, para-rowing is an interesting sport in that it is very difficult to have one fit all sort of approach to coaching its athletes, so each athlete know how their disability affects them and so coaching a para-athlete in most cases is a learning experience for both coach and athlete. Luckily I had already met some of the coaches when I was in Boston’s Head of Charles Regatta, so I knew that I wasn’t going to be starting from ground zero regarding training and that learning experience for the coaches. We had 2 sessions a day, morning and afternoon, focusing on different technicalities in very beautiful weather and a stretch of water covering 31k, I was very happy to be away from the UK weather of around 2 to 5 degrees, no fun!. In a week’s worth of camp I tend to focus on trying to learn one or two things very well and knowing about other things that were touched upon, the one technique that really drove home to me was placements and trying to get the blades into the water in a consistent way, breaking old habits, the other is rolling blades under your fingers more efficiently, I am still working on that one. 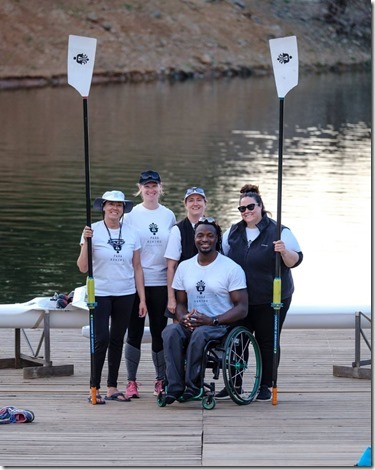 “Kingsley you tend to do this strange thing where you lift the blades high just before you place them in the water” to which I responded, I don’t think so, and after watching a video of me rowing I quickly realised coach, as usual, is always right! Note to self, what you think you are doing whilst rowing is usually not what you are doing in reality. After a camp with some serious training sessions, my body usually feels like someone has taken a hammer to it, but this time it was different, why you might ask? 😉 well we had a massage before and after each session, every session felt like a new body had been constructed anew specifically for that training session, 4 – 5 massage sessions a day is a luxury I wish I can carry on with but such is life, this for me really stresses the importance of stretching and warm downs after training sessions and not carry over any stress between sessions. Besides water sessions, two most important things I look out for in a camp is, food and weather, Avis had both of these in abundance, everything we ate was locally sourced and very delicious, I would rate Avis for having the best food in any camp I have been to, just the freshness of everything made such a difference. Many thanks to PRF for organising the event, sponsoring me to be there and to top things off, sponsoring me with an adaptive seat custom built and molded to fit me, that will make such a massive difference to my training from now onwards, this would help reduce unnecessary weight and also help drive every effort down into the boat which helps with speed and reduces chances of injuries. A final note that I should add is that when I spoke to Kingsley about the camp, he raved on and on about the facility itself. Avizaqcua is a specially built rowing center designed by one of the founders, Pedro Alte da Veiga. 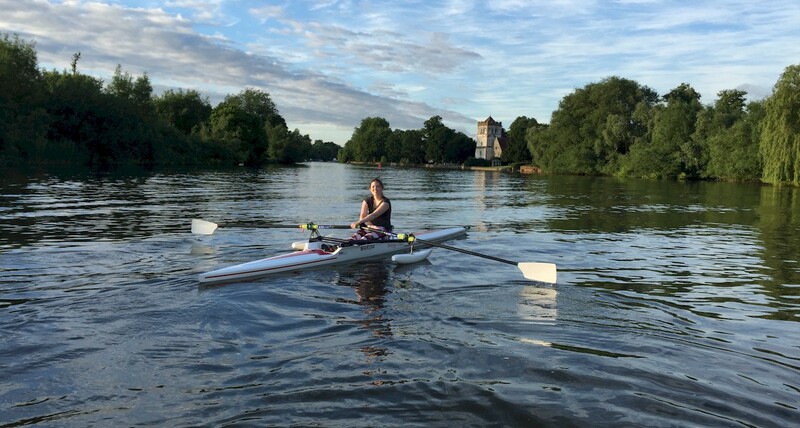 It really seems to be a dream venue with a huge dedicated rowing lake, extensive equipment on hand, stylish comfortable facilities, and very affordable pricings. 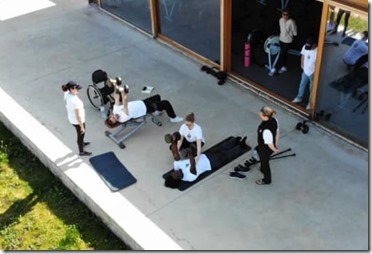 If you are looking for your next rowing camp, check them out.